Rich and long lasting metallic markers available in either medium or fine tip. Dries fast on dark or light surfaces without offensive odors. Quality felt tip. Non toxic. Vented caps. Conforms to ASTM 4236. Medium point. Peggable package. Each pack includes 6 markers. Sold as 12 packs for a total of 72 markers. 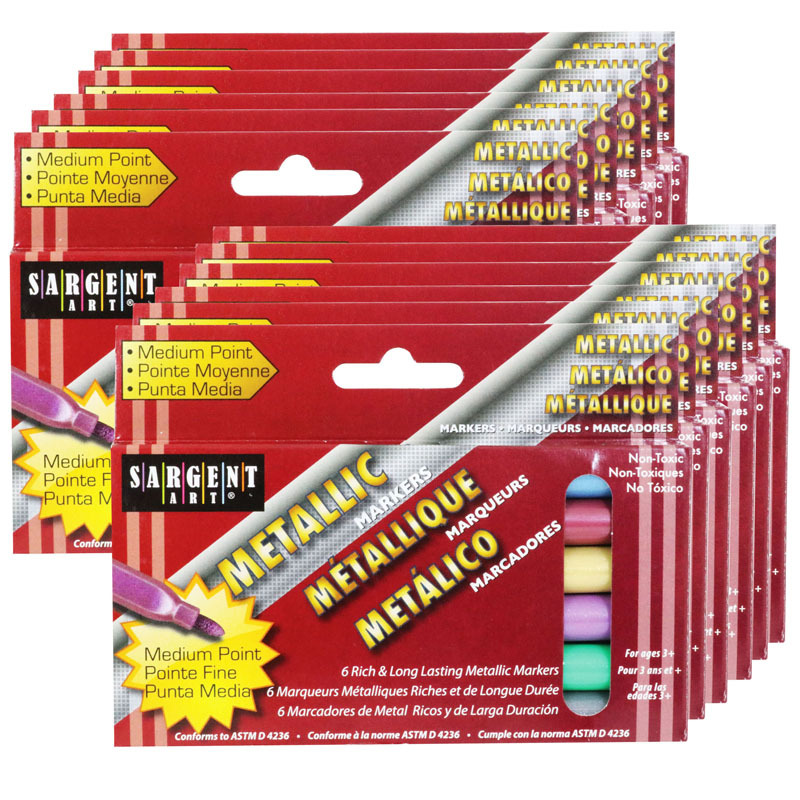 The (12 Bx) Liquid Metals Metallicwashable Markers 6 Per Box can be found in our Markers product category within the Arts & Crafts. 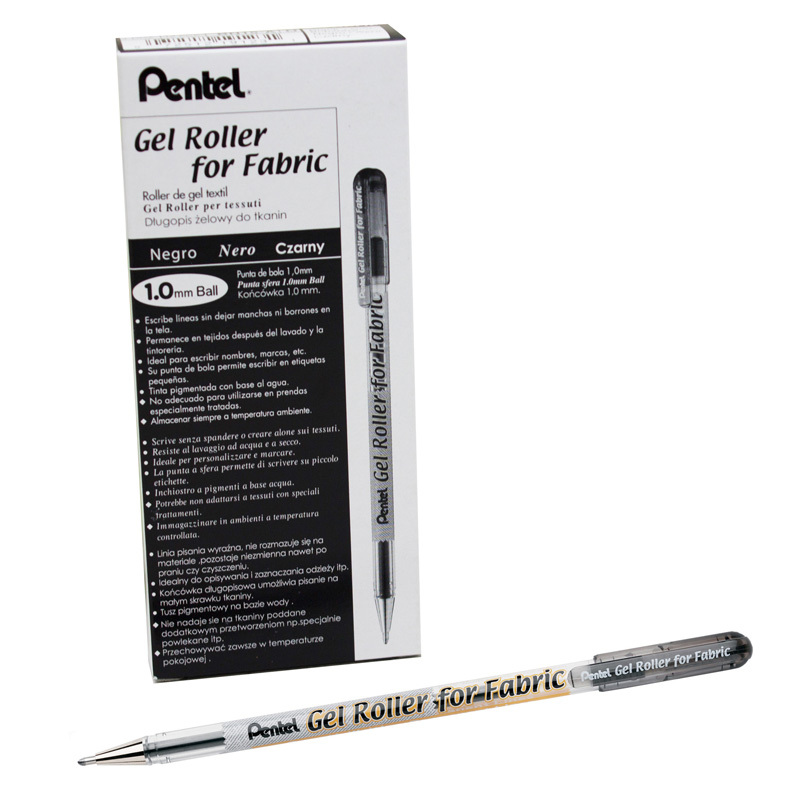 Permanent, waterproof, acid-free gel ink for fabric. 1.0mm tip produces distinct, bold lines. Water-based pigment withstands repeated washings, even dry cleaning. Ideal for use on linen, canvas, denim, cotton, and most all-natural fabrics. AP certified by ACMI. Bundle of 12 Pens.